I kind of wish Lindsay and I had watched that before jumping into the episode. Eh. Live and learn. Where was I? Oh, yes - Glomer teleports Punky and her pals to the North Pole to meet Santa and ask what they're getting, only to discover the big man is away on vacation. An elf reluctantly unlocks the gate to let them come have a look, since they've traveled so far. It takes the kids maybe a minute and half to fall onto a switch that simultaneously activates the automated factory and puts the world on a surprisingly unforgiving countdown to Christmas. A giant screen displays various cities suddenly beset by snowstorms in the middle of summer. The switch is stuck, and if they don't find a way to stop it, Christmas will be ruined for some unexplained reason. While the rest of the kids try to keep the factory from falling apart, Punky and Glomer take the sleigh and two remaining reindeer to try and find Claus, who's on a tropical island somewhere. They search numerous islands off-screen, are nearly hit by a plane Glomer mistakes for a bird, then randomly find the fat man laying on a beach. Santa's annoyed - Glomer overstated their relationship - but he hurries back to stop the Christmapocalypse. He fixes the switch, gets his hand tools, then fixes the rest of the world by finagling with some equipment under the monitor. I think that was a joke, and - if so - I find it clever on an intellectual level, even though there was no way in hell I could appreciate it while watching on account of how batshit insane every second of this thing was. Honestly, batshit insane doesn't even begin to cover it. Glomer is essentially a fever dream Kowl would hallucinate after snorting a mixture of cocaine and whatever pixie dust kept pouring off Orko. And he's basically the main character of this show. In other words, he's about as annoying as any 80's cartoon comic relief character can be, which is a hell of a bar to clear. On top of that, the animation is dated, the dialogue is stilted, and the voice acting is a very good illustration for why you should think long and hard before having a cast of child actors voice themselves in animation. That said, there are elements here that are legitimately creative and clever, even if the tone and low production values cause them to fall flat. I mentioned that bizarre scene where Santa fixes Christmas the same way you'd repair a drain - there are a handful of other details like that: they made Santa a bit curmudgeonly, the workshop feels (intentionally) soulless, and while I might be overstating the sense of disaster accompanying the world-wide Christmas countdown, it was definitely present. Likewise, they had the common decency to end the episode without overdoing it. Santa's still annoyed, and Punky's smart enough not to ask about the damn skateboard. In addition, this is to date the only Christmas in July episode we've seen which includes Santa Claus in a major role, and where Christmas is invoked early at a metaphysical level. That's actually kind of awesome. But the real saving grave of this is its sheer manic nature. This absolutely crosses the line into so bad its good, in no small part due to its breakneck pace, in which it speeds through at least 30 minutes of plot in half the time. 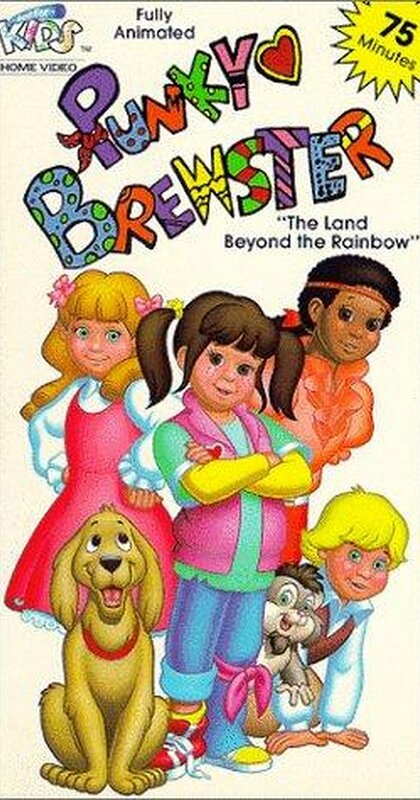 This isn't for everyone, but if you're looking for a companion piece to Inspector Gadget Saves Christmas, The He-Man and She-Ra Christmas Special, and The Smurfs Christmas Special, this would be a good short to put on during your holiday party while guests get wasted on cocaine in your bathroom.